Discover the benefits of quality outsourced HR consultants, products and services, based in Brisbane. Your business will thrive more than ever with the experienced HR professionals at Human. Get in touch with your new HR consultant today. Human Outsource is a human resources (HR) consulting company focusing on the people, profit and productivity within your business. Our aim is to ensure your HR runs smoothly, so you can focus on driving other aspects of your company. As an established human resources company in Brisbane, Human grew from a desire for small to medium sized businesses to have the peace of mind and security of larger companies. This peace of mind comes from successful HR management and implementation; big businesses grow from employees who are happy, focused and well looked after. Just as importantly, they also know that their HR structures, policies and procedures will stand up when challenged. We also have a high quality psychology services team offering an affordable Employee Assistance (EAP) service, a clinical psychology practice with access to highly experienced registered psychologists and clinical psychologists and an organisational capability service for individual and team psychometric/diagnostic testing, executive coaching and organisational training. So why should you contact us? For the first time, smaller businesses in Australia have access to the same levels of HR support as bigger organisations. Unlike other HR consulting firms in Brisbane, Human has created a series of outsourced HR and Psychology products and services designed to help small to medium sized companies succeed regardless of where they are in Australia. So whether you are a small company looking to grow or a larger company looking to be more efficient, we have a HR outsourcing solution to ensure your business runs with more support and most importantly, less risk. If it’s in your business and it’s human, we can handle it! Discover the benefits of quality outsourced HR consultants, products and services, based in Brisbane. Your business will thrive more than ever with the experienced HR and Psychology professionals at Human. Get in touch with your new HR consultant today. For those who are unsure where their business’s HR stands and how legally compliant their policies and procedures are, a HR HealthCheck is a must. With this HealthCheck, we’ll review your existing policies and procedures and recommend the changes needed for you to take control of your HR. Our HR Fundamentals solution is a must for any business wanting to have their HR documentation reviewed and updated to be legally compliant. 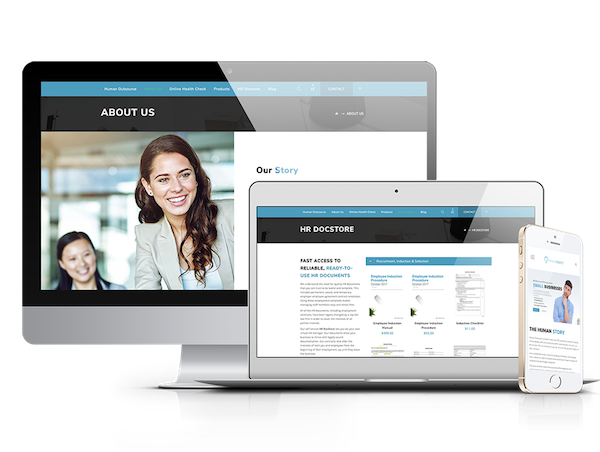 With this HR service available in Brisbane, Sydney, Melbourne, and across Australia, you will receive everything you need for instant visibility and control over your HR. Starting with a full HR HealthCheck, we will provide your business with an idea of how you’re going on the HR front and then develop your HR policies and procedures, ensuring you comply with regulations. HR Employee Assist is a psychology service for employees to seek professional assistance for their work-related or personal problems. We will update your Human Outsource provided Policy & Procedure suite, keeping you up to date and compliant with the latest regulations affecting your organisation and workforce. Increase employee productivity, retention and performance in your business with HR Manager. For businesses whatever the size, this option is a popular choice. Our human resources consultants in Brisbane and other major cities will provide you with all the HR support you need both on-site and via email and phone for you to have total peace of mind. Human Outsource provides top quality human resources solutions in Australia’s major cities, including Brisbane. With HR Advisory, your business will have access to the expert advice, in-depth industry knowledge and high-level experience your business needs to succeed. From recruitment to termination of employment, we can provide advice on every aspect of HR. HR Org Assist is a psychology service for organisations wishing to enhance organisational capability. With our Tailored Services, Human’s HR consultants in Brisbane and other major Australian cities will provide you with all the HR support you need both on-site and via email and phone to ensure you have total peace of mind with your HR. These HR services are tailored to meet the needs of your business now and in the future as your organisation grows and new staff members join your team. As a rapidly growing NFP with staff based around Australia, AMCS has found the Human team’s advice invaluable in establishing a policy framework for the organisation and ensuring our “people” practices are industrially sound, and in line with our core values. 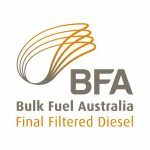 Human Outsource have been of great assistance to Bulk Fuel Australia with all our HR needs. They have established a thorough knowledge of our business and culture over the past 4 years and have been able to provide very professional advice on matters ranging from recruitment, contracts, disputes, award clarifications and terminations and all in very timely manner. 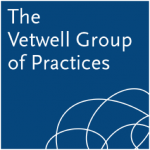 We are a boutique group of Veterinary Practices specialising in providing excellent quality Veterinary Science. We managed our own HR in-house until recently, when discovered that we didn’t have the skills or knowledge to adequately address the full range of HR issues that were relevant to our business, or to keep up with the tsunami of regulation and legislation which affect our employees, and our relationship with them. 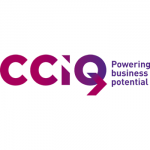 Since commencing work with CCIQ, Human Outsource have enjoyed a healthy HR consulting relationship with the entire CCIQ management team. Stephen Tait is the CEO of the Chamber of Commerce and Industry Queensland. As the leader of a peak industry body representing the Queensland business community, Stephen understands the importance of having professional human resources consultants and capability at his side. As the General Manager of Hassall’s, Australia’s leading mining valuation and asset remarketing business with clients such as BMA, Rio Tinto, we need to be savvy with modern HR policy and also need to retain and grow our best staff. Put your HR department through an easy online audit that will turn up any areas where you’re exposed. Human Outsource has a range of HR document templates available. From Abandonment of Employment Letter templates to Safety Policies, we have everything you need.